February 4, 2013 (Guardian War Propaganda) - It’s hard to contemplate the audacity of the Guardian in their feigning concern for the victims of extremism in Mali as 2 years ago they were cheering on almost identical extremists in the very same region. 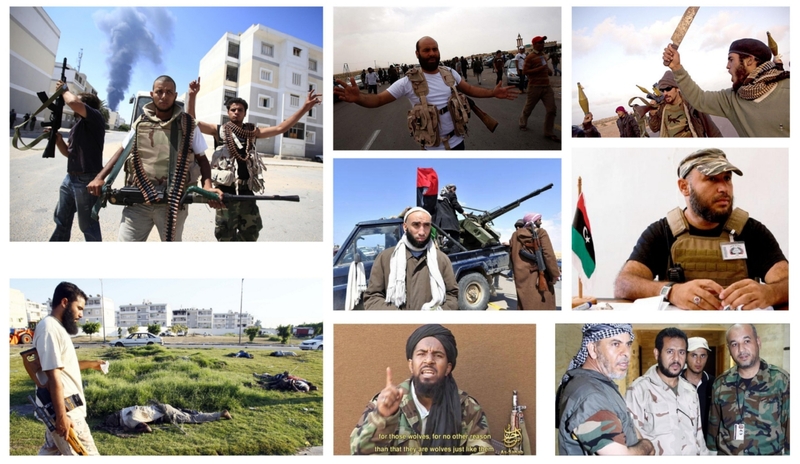 Image: Libya's "rebels" were in fact Al Qaeda's US State Department, United Nations, and the UK Home Office (page 5, .pdf)-listed terrorist organization, the Libyan Islamic Fighting Group (LIFG) who committed sweeping atrocities, even exterminating entire cities with little or no condemnation from the West. Now they fight in Syria with Western arms and cash, while their ideological compatriots in Mali serve as a casus belli for French occupation. The UK Government and media outlets downplayed and largely ignored the brutalization of black communities during the Libyan conflict and in its aftermath reports of ethnic cleansing were conveniently swept under the carpet. The extremists who were committing these atrocities and war crimes were subjected to the least amount of scrutiny possible as they were essentially fighting on behalf of Western interests and were backed up militarily by NATO. Compare this to the current situation in Mali. A near autonomous region in the North of the country is this time directly threatening Western interests so miraculously its all systems go with regards to rigorous reporting and faux outrage. What does this duplicity tell us about government policy and the news reports that shamelessly support it? It tells us that human rights and democracy play little to no part in the decision to promote and pursue wars. The Guardian can, and do, propagandize a cause based solely on the Governments financial interests.